I am committed to providing the highest level of client service. 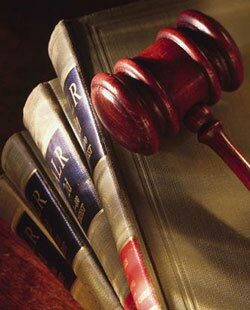 From its inception, I have placed an emphasis on providing legal services that make sense from the client's perspective. My practice focuses on estate planning issues and real estate law. I limit my practice to these areas so I can stay informed of new developments in these areas. The estate planning portion of the practice includes preparation of trusts, wills, powers of attorney, advance health care directives and related documents. The practice includes trust administration, trust litigation (including intra-family disputes) and probate of estates, as necessary. The real estate law portion of the practice focuses on residential real estate matters. My fees are tailored to the nature of the services provided and are based either upon an hourly rate commensurate with rates of other attorneys of similar experience in this field or, where possible, on a fixed fee for the services provided. In litigation matters, my philosophy is to attempt a reasonable resolution of disputes at the earliest possible time so that all parties incur as little legal expense as possible. In my experience, protracted litigation is expensive for all parties. An attempt at dispute resolution will be recommended as soon as all relevant facts have been determined.